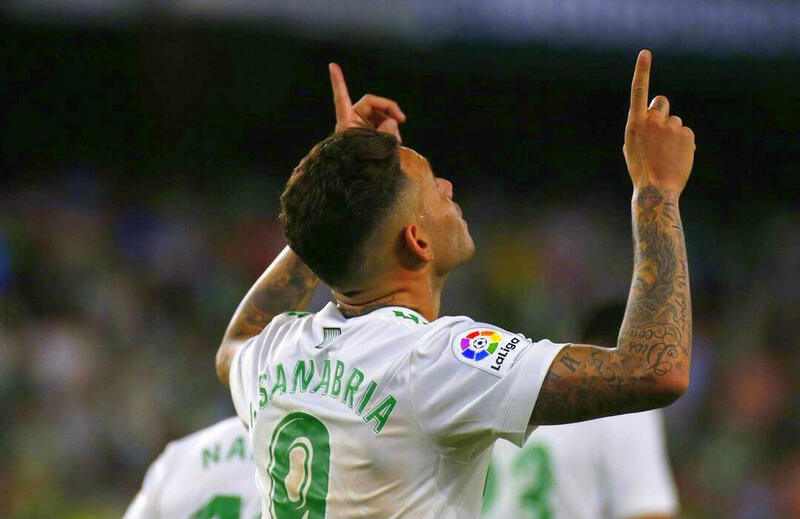 Easily getting ample attention in the La Liga nowadays is striker Antonio Sanabria. He is young, fast and deadly in front of goal. And one of the reasons why Real Betis are making waves in the Spanish top-tier tournament. Only 21 years old, Sanabria signed a five-year deal with Betis for €7.5 million in July 2016 Serie A side Roma retaining a 50% clause on the following transfer and a re-buy clause. Sanabria also played for Roma in 2014 before playing on loan for Sporting Gijon. A native of Paraguay, the 5-foot-11 and 1/2 Sanabria hogged the football headlines after scoring the winning goal in their 1-0 upset win over holders Real Madrid last month. He got the famous winner in the 94th minute with a free back-post header past Madrid goalkeeper Keylor Navas. The magnitude of that win reverberated throughout the league as it was the squad’s first victory at Santiago Bernabeu Stadium since October 1998. In his international career, Sanabria made his full squad debut for Paraguay in August 2013 after playing in the under-17 and under-20 teams. He came on as substitute in the second group stage game against Colombia in the recent Copa America Centenario. He also started against the United States in their final group stage match. Currently for Betis, Sanabria scored the opening goal in their 4-4 draw at Real Sociedad. Prior to that, he scored a brace in their 4-0 annihilation of Levante at Estadio Benito Villamarin. Betis manager Quique Setien believes his young attacker will get better as he matures as a player. Because of his current fine form, Sanabria is joint fifth with four goals so far in the goalscoring parade in the La Liga.